As a mom of 4 little girls, it seems like someone is always dressed in some sort of costume. There have been many mornings that Sassy has come down for school time dressed as a cheerleader, princess, or even a Star Wars character. 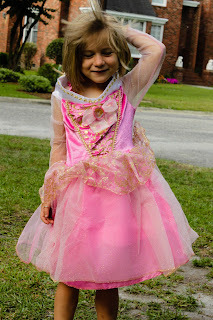 So when I got the opportunity to review a costume from Wholesale Halloween Costumes, I was super excited. 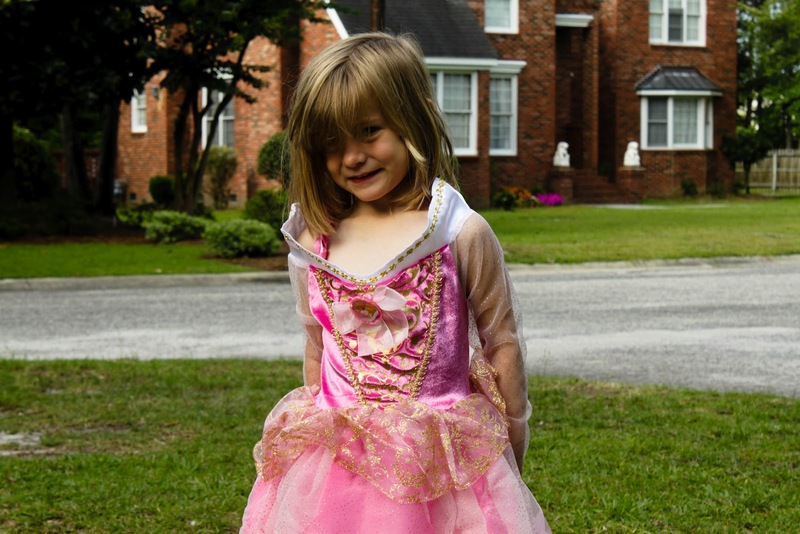 Wholesale Halloween Costumes has hundreds of popular costumes to choose from! 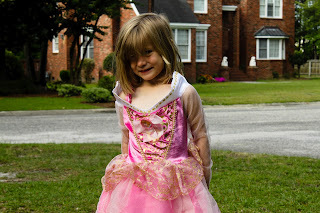 Sassy chose the Aurora costume. She absolutely LOVED it! She definitely looked like a little princess when she put it on (aside from the fact that her bangs are at that awkward in-between stage and are always in her eyes). The costume is well made. 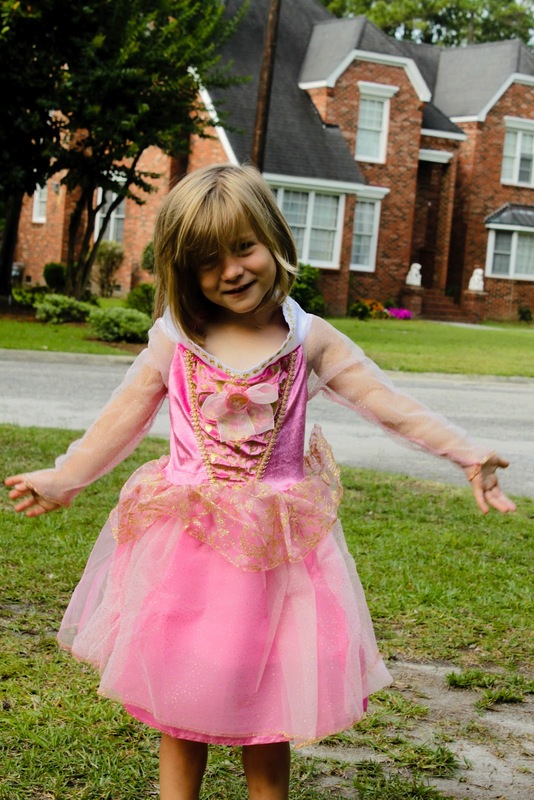 This is important to me because I know that it will get a lot of use, and it's disappointing to me and my girls when their costumes fall apart after a few wears. The prices are very reasonable, especially considering the quality of the costume. There are so many choices available. I know I said that earlier, but it really was surprising. There were literally hundreds of choices. With the variety of interests of my girls, there is truly something for everyone. I encourage you to check out Wholesale Halloween Costumes, whether it's to get something for dress-up for your little princess or you're looking ahead for a Halloween costume. I received one or more of the products or services mentioned above for free in the hope that I would mention it on my blog. Regardless, I only recommend products or services I use personally and believe will be good for my readers. I am disclosing this in accordance with the Federal Trade Commission’s 16 CFR, Part 255: “Guides Concerning the Use of Endorsements and Testimonials in Advertising.